Ginger is delicious and medicinal. It is tasty in meals and drinks, and it is easy to grow, even indoors. Choose Seed: You will need a piece of organically-grown ginger to use as seed. 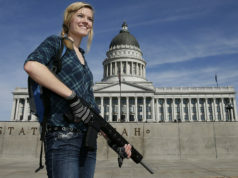 The piece should be a couple inches in size, or about as big as your thumb. 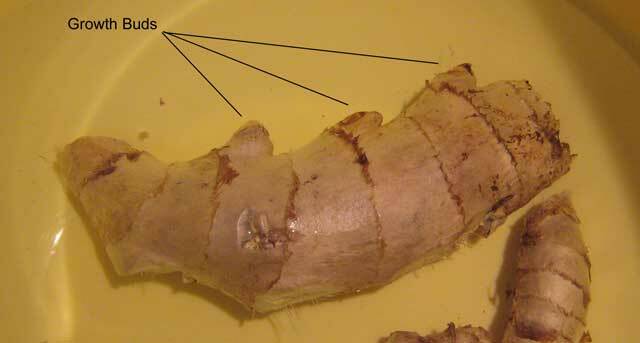 Do not use commercial ginger because it has been treated with chemicals to stop it from sprouting. Dried ginger will have to be soaked overnight or until moist throughout. Start Seed: You can use old produce or takeout containers to sprout the seeds. Poke holes in the bottom of containers for drainage, and put a couple inches of soil in the bottom. Place the ginger seed on top of the soil with the budding parts facing upward, and cover the seed with about half of an inch of soil. Keep at 70 degrees and enclosed, but not sealed. Keep the soil moist, but not wet. Ginger takes 6-8 weeks to sprout, and it will take a few weeks to notice much activity. Transplant Sprout: Ginger needs a large container with good drainage. According to Rodale’s Organic Life, a chunk the size of your thumb will easily grow to fill a two-gallon pot over the course of about six months. Bury the ginger with the sprout tip exposed out of the soil. Ginger needs a warm and sunny spot to grow. Plant Care: As the root continues to grow, you will need to keep covering it with compost, or hill it. Harvest: Baby ginger will not be ready to harvest until it is 3-4 foot tall. Ginger that is 2-3 foot tall will not have its roots completely formed. You can harvest the ginger by holding all of the shoots at their base and pulling up on all of them at one. 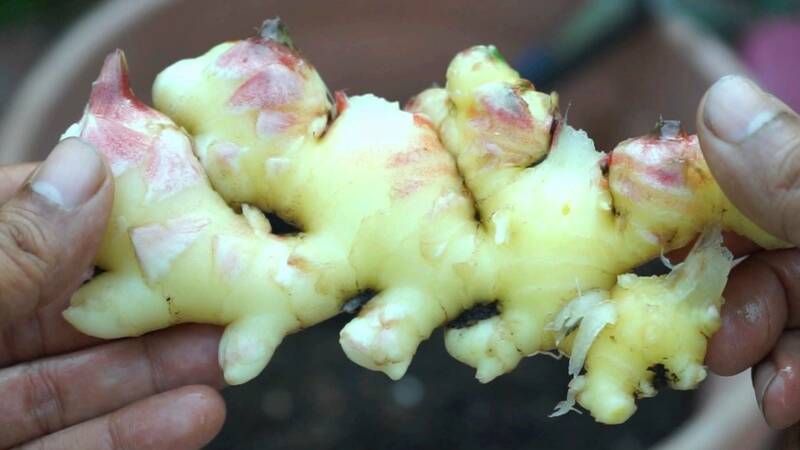 You can re-seed ginger upon harvesting by breaking off a piece of the rhizome, planting it, and treating it as a seedling or sprout with plenty of water.